When she risks everything she holds dear on a whim, there's only person she trusts enough to turn to. But Vicky is about to learn that one mistake is all it takes; that if you're careless with those you love, you don't deserve to keep them . . . The blurb for this book is quite vague so I wasn't at all sure what to expect plot wise from this novel, but boy, it is packed full of story, twists and punchy characters. Focussing on two women, Vicky and Amber, we follow their journey of consequences following a gargantuan error of judgement on the part of the former. Vicky then finds herself getting entangled in a thick web of lies and deceit, eventually being left not knowing who she can actually trust. The writing is very good and the plot is well woven and time-framed, moving along at a steady pace. We are told the story in both first and third person, dependent on whose viewpoint we are looking at and in between that we are also taken back to the early 1990's, and told the very sad and traumatic history of one of the characters. Eventually all of these things tie up together at the end for an explosive finale. 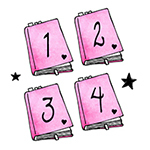 The author has done a great job with the characters, they are well developed and, particularly one, complex. For me an excellent balance of both like and dislike for them has been created and I flip-flopped my sympathy around all over the place. This is a really good psychological suspense novel from Emma Curtis and I look forward to future reads from her. 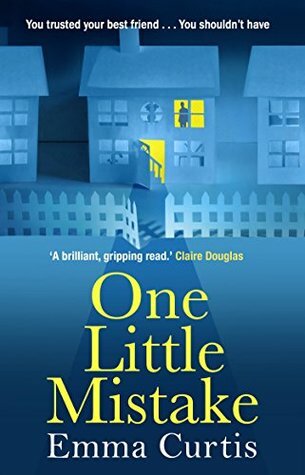 One Little Mistake is out in ebook : 23 February 2017 / Paperback 29 June 2017 from all good retailers. Emma Curtis was born in Brighton and brought up in London. Her fascination with the darker side of domestic life inspired her to write One Little Mistake, her first psychological suspense. She has two children and lives in Richmond with her husband.